You are receiving a heaping tablespoon / 15ml by volume. Not all balls may be 100% coated. A few balls may be off shape. Sizing is random and every bag may not contain the smallest/largest size. Also available in gold and in red! Love it, excited to use my merchandise. 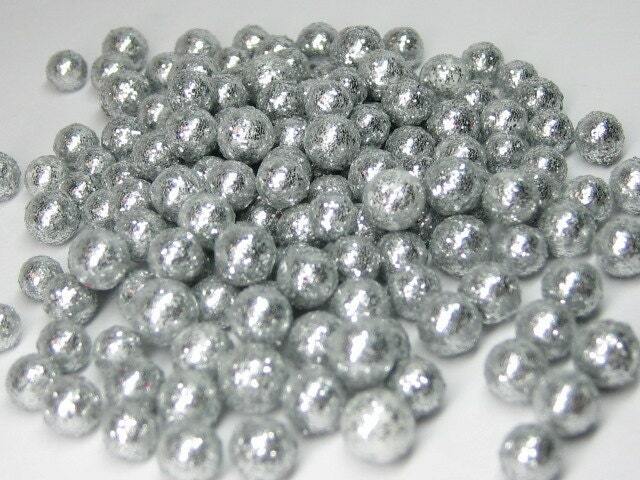 Perfect for using on dollhouse Christmas trees, SO lightweight. Love them, & thanks for the quick shipping too!